Thanks to your feedback, Swimia has become in just quite a few months one the most significant sites of swimming pools. 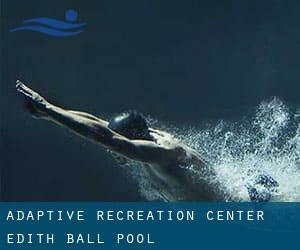 Here you have all the info we know about Adaptive Recreation Center - Edith Ball Pool, in Tucson. Don't forget you can also promote this pool so Adaptive Recreation Center - Edith Ball Pool will appear the first of Tucson, or even the very first of one's country, contact us to know even more. Swimmers like you reported 25 yards, 4 lanes, Non-Chlorine Sanitized, Outdoors. Unfortunately we do not have the e-mail address of this Swimming Pool, but we can give you the phone number. 8155 E. Poinciana Drive , Tucson , AZ , USA (Postal Code: 85730). Swimmers like you reported 25 yards x 56 feet, 7 lanes, Outdoors. Unfortunately we do not have the email address of this Swimming Pool, but we can give you the phone number. Updated on 2019 245 East Ina Road , Tucson , AZ , USA (Postal Code: 85704). This sports center gives 20 yards, 5 lanes, Outdoors. Contact information for this Pool such as phone number and e-mail address are number. 7770 N. Shannon Road , Tucson , AZ , USA (Postal Code: 85741). Among all of the activities offered by the center, when you are keen on swimming you might enjoy 25 yards, 6 lanes, Outdoors. Just in case you need to contact this Swimming Pool before dropping by, we only know the phone number. Updated on 2019 1563 E 36th St. , Tucson , AZ , USA (Postal Code: 85713). Among all the activities supplied by the center, if you are thinking about swimming you might appreciate 25 yards, 8 lanes, Outdoors. Just in case you wish to get in touch with this Swimming Pool before dropping by, we only know the phone number. 110 S. Church Ave. , Tucson , AZ , USA (Postal Code: 85701). This sports center offers 20 yards, 3 lanes, Indoors. For this Swimming Pool, only phone number is number here. 1501 N. Houghton Rd. , Tucson , AZ , USA (Postal Code: 85749). Among all of the activities offered by the center, when you are enthusiastic about swimming you will enjoy 25 yards, 4 lanes, Outdoors. If you will need to contact this Swimming Pool, e-mail address and phone number are both number. 7200 E. Tanque Verde , Tucson , AZ , USA (Postal Code: 85715). This sports center delivers 25 meters x 25 yards, 9 x 7 lanes, 4 feet - 13.5f depth, Outdoors. For this Pool, only phone number is number here. E. Glenn St. and N. Craycroft Rd. , Tucson , AZ , USA (Postal Code: 85712). This sports center gives Olympic size x 25 yards, 6 x 6 lanes, 3.5f - 12 feet depth, Outdoors. For this Swimming Pool, only phone number is number here. Updated on 2019 2727 W. Club Dr. , Tucson , AZ , USA (Postal Code: 85741). Swimmers like you reported 25 yards, Outdoors. Unfortunately we do not have the e-mail address of this Swimming Pool, but we can give you the phone number. Updated on 2019 2200 East Elm Street , Tucson , AZ , USA (Postal Code: 85719). This sports center provides 20 yards x 40 feet (no lane lines), Outdoors. For this Swimming Pool, only phone number is number here. Updated on 2019 7000 N. Resort Dr. , Tucson , AZ , USA (Postal Code: 85715). Swimmers like you reported 50 feet, Outdoors. Unfortunately we do not have the e-mail address of this Swimming Pool, but we can give you the phone number. Updated on 2019 8600 E. Rock Cliff Rd. , Tucson , AZ , USA (Postal Code: 85715). Swimmers like you reported 25 yards, Outdoors. Unfortunately we do not have the email address of this Swimming Pool, but we can provide you with the phone number. 1665 S. La Cholla Blvd. , Tucson , AZ , USA (Postal Code: 85713). Among all of the activities offered by the center, if you are interested in swimming you can delight in 25 meters x 25 yards, 8 x 9 lanes, 4 feet minimum depth, Outdoors. Just in case you want to make contact with this Swimming Pool before dropping by, we only know the phone number. 3660 E. Sunrise Drive , Tucson , AZ , USA (Postal Code: 85718). Swimmers like you reported 25 yards, 6 lanes, Outdoors. Phone number and e mail address are number for this Swimming Pool. Updated on 2019 1827 E. Enke Dr. , Tucson , AZ , USA (Postal Code: 85721). Among all of the activities offered by the center, for anybody who is considering swimming you will enjoy Olympic size x 25 yards, 8 x 18 lanes, Outdoors.